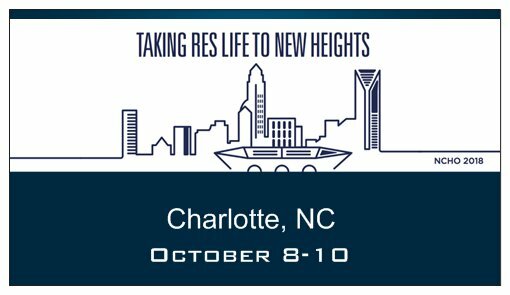 The Annual Conference will be held October 8-10 and will take place in uptown Charlotte, NC, at the Fairfield Inn and Suites. Please check out our promo video for the conference here. We are very excited about the conference and will work hard to ensure that it is a great experience for all who attend! We are currently working on establishing committees for the conference. Please review the positions below and then use the NCHO Committee Interest Form (or link below) to indicate the areas in which you feel most interested. If you are interested in being a committee chair, you can indicate that on the interest form. Please feel free to share this information with anyone on your team that you feel may be interested. Registration/Marketing: Nametags, special ribbons, registration lists, walk-up registrations on site, developing conference evaluations, conference program, conference marketing materials/graphics etc. Logistics: Coordinate room set-ups, work with parking, conference meals/receptions, work with area hotels arrangements, catering, technology, etc. Professional Development: Recruit professionals to review resumes, conduct mock interviews, host conference speed networking, NCHO Awards, etc. Social Events/Excursions: Develop list of area restaurants for dinner, develop area listing of special things to see/do, set up campus tours, Charlotte shuttle, etc.